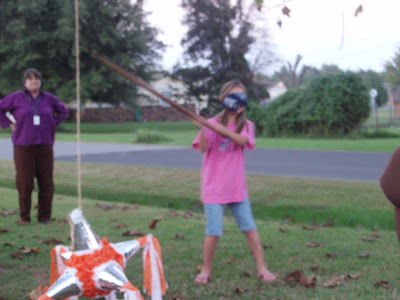 We got a pinata at Wal-Mart. 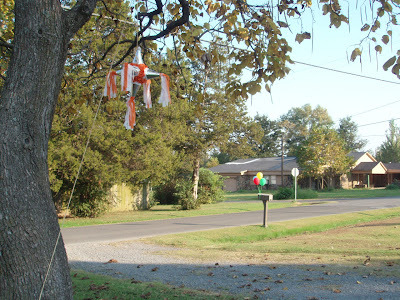 Notice the helium balloons on the mailbox! 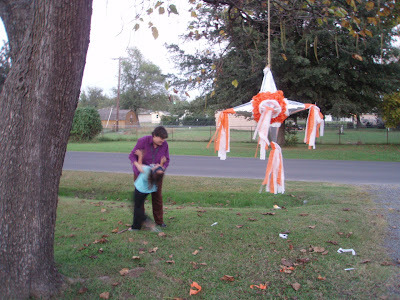 We attracted lots of attention with the pinata from passersby.